Designed for the one-semester anatomy and physiology course, Hole’s Essentials of Human Anatomy and Physiology assumes no prior science knowledge and supports core topics with clinical applications, making difficult concepts relevant to students pursuing careers in the allied health field. The unparalleled teaching system is highly effective in providing students with a solid understanding of the important concepts in anatomy and physiology. 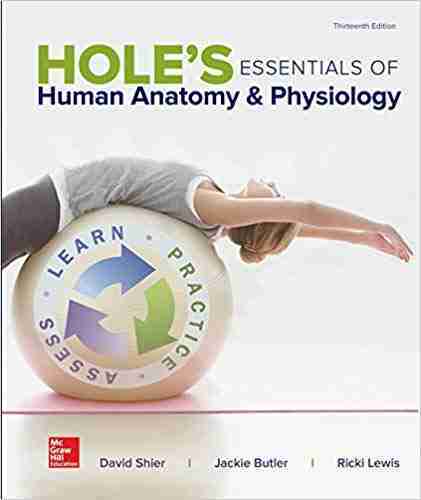 Hole’s Essentials of Human Anatomy and Physiology is a must read book for all medical students around the world. It not only strengthens your basic concepts about anatomy and physiology but also clears those that you have been wrong about till now. This short book will not take much of your time it is essential to read the book at least once as the name indicates and you will not be disappointed. David Shier teaches at Washtenaw Community College in Ann Arbor, Michigan and is the biology department chair. He received his Ph.D. in physiology from the University of Michigan.